Entering and exiting your RV is not rocket science, of course, but there are several products available that reduce the amount of inconveniences. Two RV Door accessories from Camco in particular provide for a smoother operation and help you avoid certain types of damage to your motorhome. I have heard of instances where someone has accidentally put their hand through a screen door, not realizing the screen would not hold up.The RV Screen Door Push Bar can prevent that type of damage caused to your screen. It can be installed at any height, so you can mount it at whatever position works best for you. The push bar can be used to open or close the door, and it creates a more substantial door handle. The width can be adjusted to fit the size of your door, and the mounting hardware comes with it. Using the push bar will also prevent the expense of having to get the screen repaired or replaced. 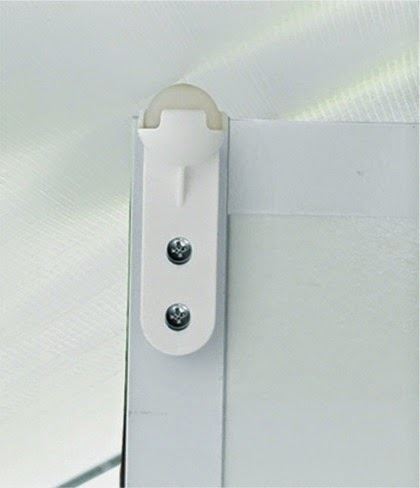 This cross bar can even used for compatible home screen doors to reduce the same risk. When an awning extends over an RV door, there is potential that it could tear, should the corner of the door come in contact with it. 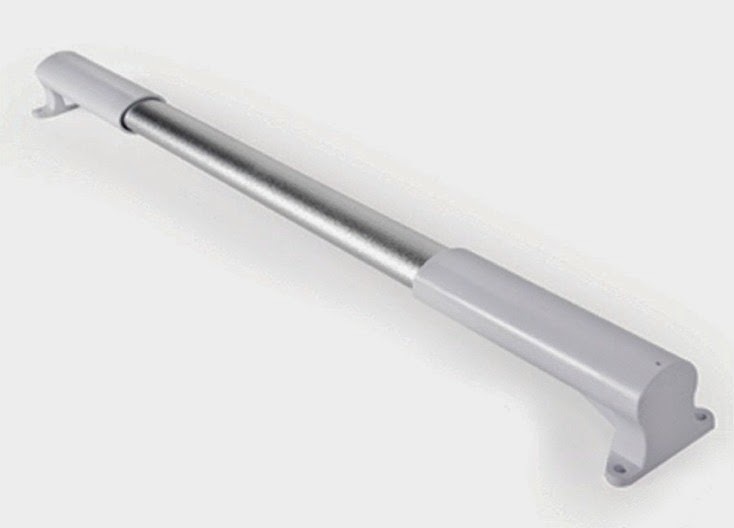 The RV Awning Door Roller Ball solves that problem by creating a rounded 'contact point'. The Roller Ball can attach to the outside of your RV door and will rotate to follow the motion of the door, so there is less friction. This roller ball works for doors with both sharp or rounded corners and also comes with the needed hardware. Just like the Push Bar, the Roller Ball reduces the chance of needing to repair or replace an awning because of a tear.